I had the good fortune of receiving this cookbook from a new friend who also just happens to be an equally obsessed 'Outlander' fan. Discovering we're both fans, plus that we shared so many other common interests was an unexpected but delightful outcome of our meeting. I could not feel luckier ~ as a recipient of both the cookbook & the friendship! It's a tiny bit misleading to write that I've "read" the entire cookbook. What I have done is read the foreward, (by Diana herself!!) the authors introduction and then all the excerpts from the 'Outlander' books which precede each & every recipe. Now I'm ready to re-read the whole series again! There are photographs which accompany every recipe (an aspect I like in a cookbook) and the recipes all look very doable even for an amateur cook like me. The cookbook covers the breadth of fine dining ~ every course conceivable in a meal from appetizers, drinks, thru dessert plus jams & some extras. So many I'm excited to try ~ in fact the ingredients for the first one (Murtagh's gift to Ellen ~ Puff Pastry Boar Tusks) are on my grocery list this minute. I wanted to review because I think anybody who is a fan of 'Outlander' (the series or books) would be thrilled to own a copy. It's an extension of that world we love so much & another way to stay connected to it. Every time I cook something from it, I'm sure I'll re-read the excerpt and be transported again! 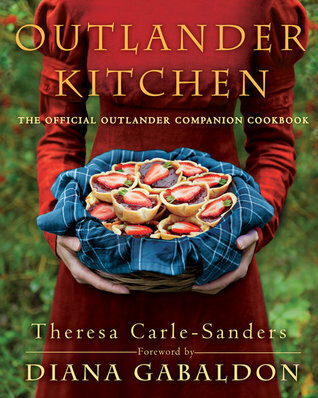 Wouldn't it be fabulous to get a group of 'Outlander' fans together, eat a meal comprised solely of recipes found in the cookbook, and maybe even watch an episode of the show!?! 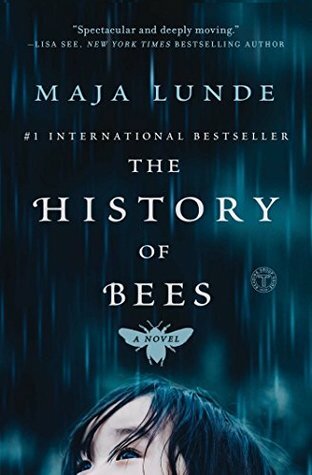 ** spoiler alert ** As a gardener, an observer of nature and a person very much interested in the plight of bees, I wanted to read this book the minute I saw it. Even tho 'The History of Bees' is classified as fiction, the futuristic scenario the author created could very easily become nonfiction. It will be a terrifying world to live in if that indeed happens. With Colony Collapse Disorder (CCD) already a very real thing, it seems more realistic than imaginative. Those tiny, little, exceedingly industrious insects control the future of our food supply, the sustainability of our population and the viability of our planet as we know it. This book reinforces their unparalleled value. When you consider how much they contribute & how much we consume that is directly related to their well being, it's imperative we do everything in our power to save them. Sometimes it scares me that we (as a nation and a world) are not doing that or prioritizing their situation enough. The book is divided into three stories, a perfect format for the authors message. Kind of a "before, during and after" set up. The first takes place during a period when beekeeping was in its infancy (mid 1800's.) The second when CCD was spreading throughout the United States (2006) and the third, a very dystopian world, when bees have become extinct & China has implemented a hand pollination program to survive (2038.) It's pretty cool the way the author wove all three stories together too and not readily apparent, at the beginning, how she planned to do that. When you think that it's only been a couple of centuries between the serious cultivation of bees and the CCD we're currently experiencing, it pretty frightening how rapidly this affliction developed. And 2038 (a make believe number but not outside the realm of possibility) is not that far away. At least 'The History of Bees' does not end without hope. In futuristic China, thru an unfortunate event, a hive of wild bees is discovered. There is a chance the world can again be repopulated with bees, but not without significant changes to our farming practices. I love that it's Georges son Tom (so smart and studious) that shows the way with his gift of writing and his practical experience as the son of a beekeeper. Reflecting on my own garden, I see fewer and fewer bees every year and bumblebees are especially scarce. It's very concerning, especially if my garden plot is any indicator of what's happening on a larger scale agriculturally. I recently joked with my neighbor (whose squash plants are not setting fruit) that she might have to hand pollinate them. After reading this book and seeing how delicate and laborious a job that is, I don't think it's much of a joke anymore. tussling with a nesting ball. I can't even tell you how close I came to removing said nesting ball from the garden. It was a freebie ~ compliments of my local Wild Birds Unlimited store ~ when I bought the Chickadee Nest box earlier this Spring. There it's hung, in the garden, ever since, without an iota of interest from a single bird. April, May & almost all of June ticked by with the nesting ball completely intact. Then, a few days ago, some action! It was apparently just a matter of matching the "right" birds with the "right" time. Who knew? The Goldfinches, with their later nesting season, are decidedly "into" the nesting ball! They've been working vigorously at extracting the soft material so tightly bound in the ball. Pulling big beakfuls before flying off to put it to use. Thank goodness I'm a procrastinator and hadn't pitched it! It makes me happy to see it being used. Curious side note about above two photos: There appears to be a nodule on this females underbelly?? Then, yesterday, a nest catastrophe involving a completely different bird ~ a 'Says' Phoebe. Builder of the sloppiest nest ever, perched atop an old Barn Swallow nest, above my neighbors front door. Per my neighbor, every time she landed on the nest, the left side would disintegrate a little bit. Long story short, it deteriorated enough that two of the five eggs eventually rolled out & broke on the porch. But yesterday, calamity of all calamities ~ the babies in the remaining three eggs had fledged & only a day or so old, all three fell out prompting my neighbor to call me. Because I'm a bird whisperer or something ~ did you know? Never one to shirk duty, I put on my gloves, got my ladder & carefully put the two that were still alive back in the nest. Then I duct taped a piece of floral foam (the only thing I could think of) along the left side to prevent a repeat disaster. I wish we'd done that sooner. I don't know if both babies are still alive or not but at least one is as I've seen the female flying to the nest throughout the day. I can't help but worry those tiny fledglings have some internal damage falling from door height onto concrete tho??? Why do I get so invested in these things? Darn nature is fraught with peril and I hate when it happens before my eyes. I will check back and update later. For now, "Mom" is feeding so I think that's a good sign? A day after their traumatic fall, the baby Phoebe's are still alive. Miracle of miracles. Maybe they're tougher than they look? Now ~ whether they have injuries or not remains to be seen. The two baby 'Says' Phoebes appear to be thriving. It won't be long before they're ready to leave the nest & then we'll know for sure if they escaped unharmed from their early nest fall. So far, so good, which is better than expected. Yay! 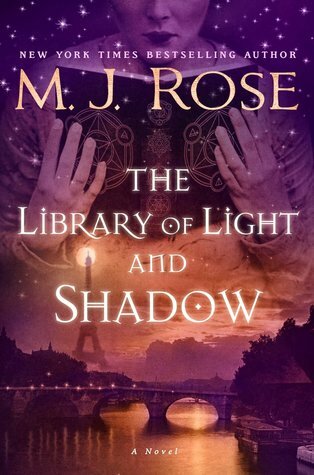 ** spoiler alert ** There was a little bit of everything I love in 'The Library of Light and Shadow.' A dip into magic/arcane arts, a modest mystery, some romance, and a fabulous period in history as a backdrop (the years after WWI.) That period seemed to produce a lot of artistic genius. So many larger-than-life writers, painters, artists and a lot of them name dropped within these pages. Sidenote: I've read one book previously about the Cathars and their beliefs (so close to Christianity) so when the search for the 'Book of Abraham' touched on that period in history, it was an unexpected bonus. The author writes in a rich, evocative style which sets the mood beautifully. I could almost "see"the rooms in Emma Calve's castle! She also either has a passion for the occult, practices some sorcery herself, or researched the society extremely well. Delphine alone possessed a surplus of gifts, many she referenced as only learned on an exploratory level, but nevertheless is able to perform them in a perfunctory manner. I find that whole realm mysterious and fascinating (I confess to a desire for a few magical abilities myself) so no wonder the book had appeal. Of course I started with the 3rd book in the 'Daughters of La Lune' series instead of the first ~ how do I do that so often?? but now I will definitely go back and pick up the first two and will certainly be reading others by M.J. Rose as well. My only complaints: I wish the book hadn't ended so abruptly. Perhaps there's a 4th book in the works? A few questions were left hanging ~ especially what happened with Sebastian (after his evil side was revealed.) Also Delphine had powerful gifts but seemed to underestimate herself, always letting other people determine her value. Would love to see her character developed with more self confidence and autonomy. None of these issues changed my opinion about the book tho ~ I liked it very much. ** spoiler alert ** The two previous Sarah Addison Allen books I've read were light, fun reading sprinkled with a bit of magic and a happy ending. This one stayed true to that form. It's nice to just relax sometimes with a book that's not too "heavy" or thought provoking. 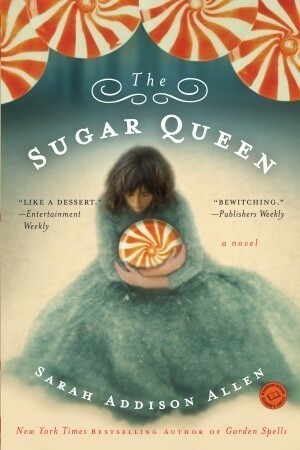 I did exactly that while reading 'The Sugar Queen' and it was very enjoyable. I will definitely pick up another book by this author in the future. Chloe's magical gift of books just "appearing" which applied to that moment in her life. That would be heaven! The interesting twist at the end about Della Lee. The chapters titled with the names of "sweets." There's a character for practically everyone to relate to and you just feel good when you're finished reading it!!! ** spoiler alert ** After finishing 'The Bear and The Nightingale' I was clamouring to get my hands on this 2nd book in the trilogy. However; the three week wait between novels seems to have "cooled" my ardor somewhat toward the series? I was so enthralled with the newness & complexity of the medieval Russian fairytales in the first book but somehow, a bit of the shiny sparkle was lost for me in 'The Girl in the Tower.' I found myself strangely disgruntled with Vasya. What?? Where before I only saw her exuberant spirit and bravery ~ this time I saw a lot of impetuousness and naivete too. She wanted to be a "traveler" but was wholly unprepared to do so. There's definitely an age old fine line between curiosity and danger at play here. She doesn't heed the warnings even Solovey sensed nor does she seem to understand the risks she puts herself in by masquerading as a boy. I understood for the first time why her family got angry at the trouble she caused and the predicaments she created/put them in. Vasya is a conundrum of a heroine. Her rash, reckless, joie-de-vivre approach ~ equal parts endearing, courageous, vexing and anxiety provoking. 'The Girl in the Tower' is more Vasya's adventure than anything else. I think I missed the way the first book encompassed more of her family and all the guardian spirits present in pagan Russian life. I'm not sure how I imagined her making the transition of leaving her family home to free-spirited "traveler" but I'm guessing I assumed Morozko would be more involved in that process?? Other than instructing her in how to protect herself, she's pretty well on her own. I can't really blame him for giving her space tho. Vasya exhibits a LOT of anger toward him and I can't fathom where it comes from? She lived only because of his mercy and yet she is unfazed by the two gifts of life he gave her and instead hurls insults at him for not showing up sooner each time. I'm hoping Vasya grows in wisdom between this book and the next. If she retains her brave heart & clever mind but combines it with prudence, she will truly be something to reckon with! I also hope we see more of a relationship between Morozko and Vasya in the next book. Something along the lines of what I was hoping for in book two but didn't get. I wonder if the author can read my mind about what that might be?!!? She gave us a tantalizing little taste of romance but then quickly doused it. aarrggg. Also, I want the full story on exactly what Vasya's bloodline is & what all it entails! You know, the story Morozko's white mare urged him to tell Vasya "of witches and a sapphire talisman and horses by the sea." Maybe we'll get that in Book 3 too?? That kind of sentence fuels my imagination! Vasya redeems herself in the end by saving little Marya and extinguishing Kasyan (I got a nasty feeling about him from the get go.) I like that the same sight Vasya possesses has been passed down to little Marya. Maybe she will make an appearance in the next book as well? 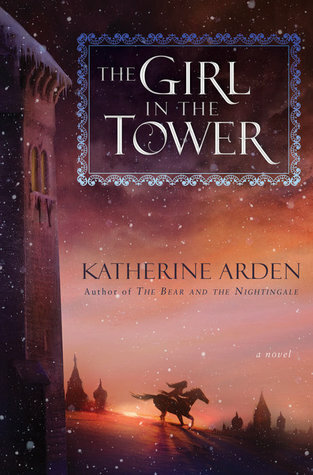 I really liked 'The Girl in the Tower, it just didn't quite match up with the first one for me. It would be really, really difficult to surpass the introduction of something as magical as 'The Bear and the Nightingale' tho. So hats off to the author for keeping it real and keeping us hanging on. I've already put 'The Winter of the Witch' on hold!